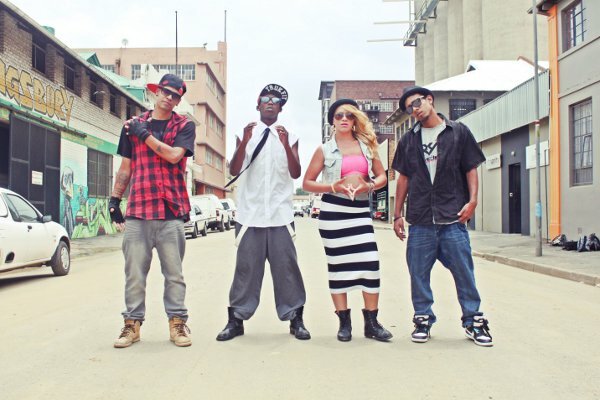 In the current issue we got the scoop with the dope dance crew WeDfy. Here’s some of that interview you didn’t get to see in the mag. Hype: Seeing that you guys are in J-Sec living without elderly supervision, as young adults how do you make sure you stay in check? Getting to rehearsals on time, staying drug free etc. How does a crew handle all those life challenges without any supervision? For some of us it isn’t our first time living on our own. We don’t need anyone to keep us in check because we are all partners in our brand. This is our career. Like any job there are rules and procedures and that is the way we approach our job as professional dancers. We had to sacrifice a lot to get to this point in our careers for our crew and our brand. It’s easy to start a crew but a sustainable, growing crew is the goal. If y’all would have to be compared to a rap artist, who would the artist be and why? I don’t think that we could be compared to just ONE specific artist as we’re influenced by a variety of music, so it would be a combination of Missy Elliot, Janet Jackson, Chris Brown, GoodLuck, Rihanna, Micheal Jackson, Common, Jay-Z, Biggie, AKA, Drake, House Music, Busie Mhlongo, DJ Sbu & Ralf Gum. Those are just a few of the artists we listen to. Tell us about some of the hardships relocating from Cape Town to J-Sec. Y’all changed your group name and dropped two members, introducing a whole new brand to the market when you came to the city of gold. Well after competing we decided that the best thing for us to do was to relocate if we wanted to pursue our passion. Back home it was very hard for us to successfully sustain a crew, especially one that trains every day. After an article in the Athlone news we were lucky to be noticed by a marketing company called “Neon Grey Creative Marketing”. They helped rebrand our crew and helped us with the amazing logo and graphics you see. Dance4All in Athlone also helped us out in terms of studio space. Ricardo’s Modern Dance Company was the studio that we taught at regularly. The money we earned was used to move up to Johannesburg and out parents have been completely supportive. It really has been an unforgettable experience which has motivated us even more to keep pushing and keep dancing. We’re a group of young people who prove that if you want something and you’re prepared to work for it, you can achieve great things.